A native to the Bay Area, Ms. Lee attended UC Berkeley where she pursued a Bachelors in Arts in Social Sciences. She first began her career working in Administration at Xerox Corporation. After many years of pursuing a career in Business, she knew that her a second career was waiting for her. Having always loved all things literature, she knew that a classroom is where she needed to begin a career that could share her passion for English. 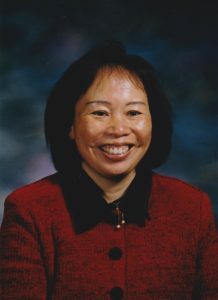 Ms. Lee spent her 17 year career at a private school where she taught all levels of English. Upon retirement, she spent the bulk of her career teaching AP English Literature and Language. Encouraging students to think critically, to evaluate information, Ms. Lee is attentive and sets high expectations for her students. She is eager to continue sharing her love for writing and perfecting a student’s grammar through helping rising Seniors with the college essay. Ms. Lee is excited to be part of Mill Creek and looks forward to reading stories that will move the admissions board. When she is not correcting papers, Ms. Lee sings in her church choir and teaches Sunday School for adult women.